Continuing with my series of posts about Augmented Reality, let’s take a look at visual recognition. For those of you who are just starting to evaluate AR as a potential addition to your services or products, visual recognition is at the very heart of this new technology. Whether you are producing AR or MR content, visual recognition is the life and soul of the user experience. Partners Ronen Horovitz, Ran Kaftory and Yaky Yanay founded EyeCue in 2007. Ronen and his team have always been innovators, and their earliest efforts were already paving the road for AR as a commercially viable technology. Their focus has always been visual recognition for education and entertainment applications. The EyeCue team includes brilliant algorithm experts, software developers, and visionaries. 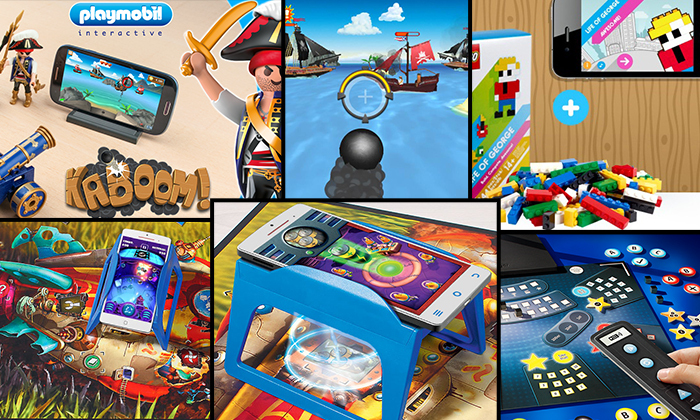 They are behind the success of great toys like LEGO Life of George, Playmobil Kaboom! SickBricks, Fashion Creator, and many more. Their visual recognition technology can power AR apps by scanning any 2D or 3D objects, digitally bringing them to life. They can even work with 3D printers. Imagine the possibilities—you can create an interactive experience where physical elements can be recognized and instantly become part of a digital adventure! Or perhaps you have a linear experience, or print based experience that can become interactive just by looking at it with eyewear, or through a mobile device. This is all possible today. So what exactly is visual recognition? trying to mimic our human vision, It’s a technology that uses complex math and learning algorithms to analyze images full of pixels and give you relevant information about them. This information typically focuses on detecting / recognizing what an object is. You can then organize these images, classify them, and be able to generate / trigger specific actions based on what you are trying to achieve. For example if you create a documentaries you can create a second screen experience by using AR to recognize places, objects, or print materials to trigger a complementary or tutoring experience. If marketing is your trade you can create campaigns that make every print add or billboard an interactive add that comes to life with a call to action, and capture data and performance for the ad. To learn more about visual recognition, I suggest you come to the session I am moderating at Digital Hollywood on October 18th http://www.dhsessions3.com/Tuesday16Fl5.html. We will focus on the next generation of AR apps from education to entertainment, and Ronen Horovitz will be a panelist. AR experts Roy Ashok (DAQRI), Brian Blau (Gartner), Jim Marggraff (Eyefluence), David Weinstein (NVIDIA), and Michael Leventhal (Formerly of Magic Leap) will also be on the panel. Come meet the leaders of the companies that are making AR possible!